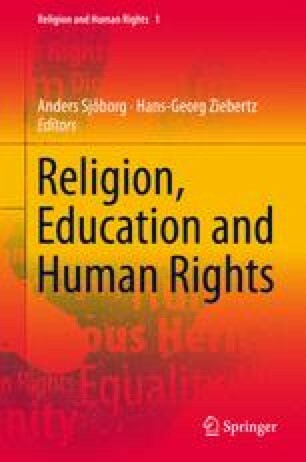 This chapter analyses how freedom of religion is interpreted and applied in Swedish schools. Human rights applies to both adults and children, but Swedish courts and the European Court of Human Rights have established that the school environment is “a special environment” when it comes to human rights. This approach has resulted in a lacuna regarding the meaning of pupils´ human rights in school. The chapter concludes that the examples discussed here illustrate that the Swedish Education Act may be in conflict with the human rights chapter in the Instruction of Government.